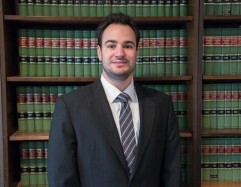 Mr. Alfieri concentrates his practice in the areas of residential and commercial real estate transactions, land use, planning and zoning law and real estate tax appeal matters. Mr. Alfieri regularly represents individuals, developers, investors and landowners in the sale and acquisition of residential and commercial real estate. Additionally, he has represents both private and public clients before dozens of municipalities, planning board, zoning boards of adjustment and authorities throughout New Jersey. He also has experience representing both private and public clients with property taxation appeals before County Boards and the Tax Court of New Jersey.